Thick and rich, full of deep, dark chocolate flavour – and it’s good for you! ¼ cup coconut milk or milk of choice. This is my favourite. you like. 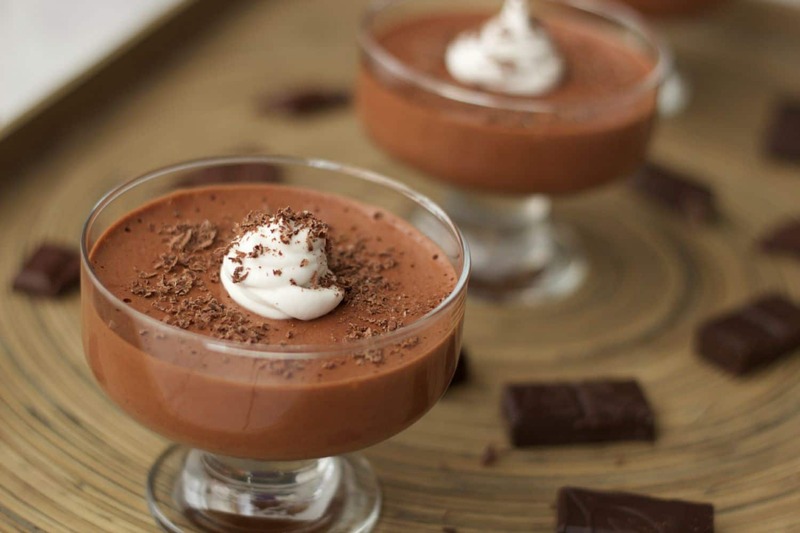 Spoon the mousse into dessert glasses and chill in fridge for 30 minutes, if you can resist. Top with a spoon of greek yogurt and fresh raspberries. Had my weigh in on Wednesday morning, it was a tough week. So much food around me. Chocolates, cakes, mince pies. I haven't touched anything. It's not easy but I'm so focused on my goal. So far I'm down 13 lbs. This weeks weigh in was unbelievable. I was actually down 2 more pounds. I even had red wine at the weekend. Fiona gave me permission, as long as it wasn't a bottle so I'm so happy having a glass or maybe 2 and feeling like I don't have to lose out on all the social activities around Christmas. If it wasn't for Fiona's magic smoothie, I would be lost. It has replaced my breakfast and lunch. I am so full I can hardly eat my snacks. Fiona said it's so important to not be hungry However you do need to be prepared, I was feeling more hungry this week only because I didn't eat enough. Imagine i thought you would have to starve yourself to lose weight. Quite the opposite. Fiona has given so many gorgeous suggestions. I'm never stuck. Last weekend we were heading to Limerick to do some Christmas shopping. I made my smoothie that morning. It was packed full of healthy fats and protein. When we were sitting down to get something to eat, I kinda felt a little isolated as everyone around me was tucking into a McDonalds. It was tough for them too, as they felt guilty. I persevered and just thought about why I was doing this. Why I needed to do this. I was doing it because I hated how I looked, I felt anxious over my weight gain. I felt out of control and was using food to justify those feelings. I have a goal and it keeps me focused. There is a dress that I want to fit into. I have gone from a size 14 to a 12 in two weeks. This has really opened my eyes to the type of food I used to eat and why i ate it. I also do at least 3 classes a week. I do notice that kettlebells has helped me drop inches literally from my waist. I threw out 3 bags of clothes during the week, it's the new me and I'm never going back. Love the new me. I have so much energy and feel so confident. One more week to go and down 13 pounds in total. I have changed my habits and now look forward to putting on clothes again. Nothing feels uncomfortable or tight. I have to remind myself of this feeling when I want to indulge in crap food. I have to visualise myself in clothes that look and feel great. I was so nervous waking this morning, it was my second weigh in. Fiona knew I was nervous and reassured me that everything will be fine. Her advice was to ditch the processed food for healthy protein and vegetables and I will see a dramatic drop in the pounds. After that Fiona is focusing on the inches lost. I headed over to Purefit and Fiona got me to step up on the scales. Trembling and reluctant to look at the number. Oh my god, I was thrilled, I couldn't believe it I was down 8lbs after week 1. Inches down too. I was so motivated to keep going. Did 3 classes this week too so didn’t have to kill myself in the gym. It's hard to train every day but 3 days a week suits my busy life with kids and work. Not only was I toning, I was feeling fitter and now 8 lbs lighter. Fiona has shown me the way to a healthier lifestyle and I feel amazing. I also have so much support from my family and friends. you need that when you are on this journey. There will be points in the day where you will feel that urge to snack on crisps. So it takes determination and focus to stay on track. I really want this so I’m not going to slip. Although Fiona said not to beat myself up about it if I do. So far so good though. After my week on Fiona’s meal plan, I have to say I’m feeling great. Everything was planned out and the meals were very easy to follow. I replaced my breakfast with a smoothie that Fiona gave me and I don’t even feel hungry at lunch. 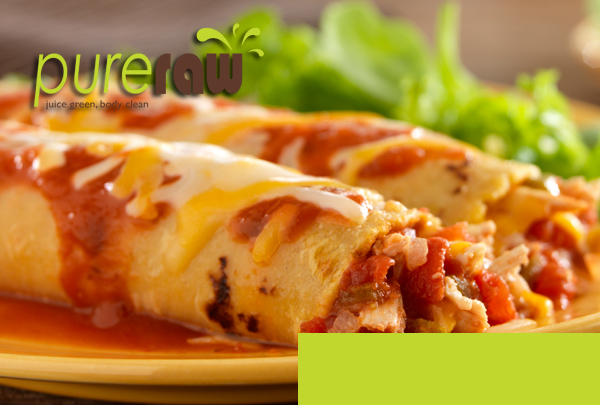 It’s packed with natural protein and tastes lovely. Not sweet, just nutty. I always have nuts as a snack to keep me satisfied. I know now that preparation is key. I have week 2 meal plans here and i’m off to get my food shopping in. Not only seeing the numbers on the scales has really motivated me but feeling it in my clothes. I am already down to a size 12. I haven’t see a 12 since I got married. I feel so in control and liberated by my progress. Going to a class this evening, really can’t wait. They’re tough but you feel amazing afterwards. Fiona can just tap into your personality and get everyone laughing and chatting in the class. I actually look forward to it. The numbers don't lie. I know now what i have to do. Until next week. Follow me and you too can be down inches. 3 more weeks and I know i will fit into my party dress. So here is how it all began. Fiona asked me if I would be interested in her trying her NEW 4 week weight loss programme. I was excited and jumped at the opportunity. I was also interested to see what she would say. She did reassure me though that you don't have to turn your life upside down. Make small changes and it will have a huge impact. Even though I was afraid of making mistakes and looking foolish, Fiona said that making mistakes is part of your journey. You need to embrace and accept it. By changing your habits you will feel empowered and will continue on even through the tough parts. The hardest thing for me was getting on the scales. Fiona took my measurements and will do it every week. It's important for me to track this. I need to make myself accountable each week. She has given me an eating plan which seems very easy. First week, I am replacing my breakfast with a smoothie. The smoothie is so filling that I can hardly even think about lunch. Until next week, follow me on Facebook and see if we can drop those inches every week. The numbers don't lie. I know now what i have to do. Until next week. We're going 90 burning fat! Step Aerobics was once the hottest craze in the 80’s! We have made it even hotter! 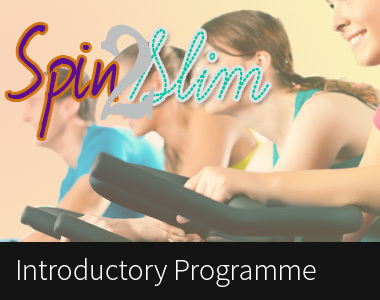 Join our energetic Shane in this hour long fusion of cardio, step, and aerobics. Suitable for all levels. Perfect For those who are looking ease into exercise too! Aerobic exercise is an important part of a well-rounded exercise routine. Many different forms of exercise can give you an effective cardiovascular workout, and step aerobics is one of them. Exercising with an aerobic step provides several fitness benefits that can help you in daily life. Even 1 class a week will provide both cardiovascular and muscular endurance. Sweat to Shane's beats and have great craic too. Along with making you fitter, aerobic stepping will also benefit your overall health. The intense cardiovascular workout will make your heart and lungs work more efficiently. The calorie burning aspect of the exercise will help you maintain a healthy weight, and avoid weight-related problems such as diabetes, heart disease and joint pain. As you progress with step aerobics, it is possible to make the exercise more challenging with a few modifications. Our aerobic steps come with extra sections to make the step higher. Increasing the height will make your workout more difficult and burn more fat. Once you reach 40 you will notice that it's becoming harder to shift those pounds. As you age your metabolism tends to decelerate 4-5% every 10 years. This is not the only contributor to increased weight, we become less active and as a result our muscle mass decreases. Basically if we don't use it we lose it. Literally our muscle melts away. To get over this metabolic speed bump, we need to increase our muscle mass. What does this mean? 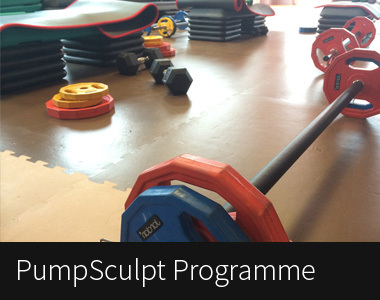 As part of your fitness regime it's essential to incorporate resistance training into it. By using barbells, dumbbells and kettlebells you are preventing muscle loss and boosting your metabolism. Furthermore, to aid in preserving your muscle, it's essential to increase your intake of protein and avoid dieting repeatedly. Being in calorie deficit through dieting will not only encourage weight gain as soon as you eat normally again but it will starve your muscles of much needed protein. The result is muscle loss with weight gain as a result of a slower metabolism. Regular exercise is key to keeping your metabolism ticking over. Two to three resistance classes a week is enough to maintain your muscle mass. Lets say you gain a pound of muscle. That muscle will now burn approximately 50 calories extra a day as opposed to gaining a pound of fat. It's so important to know that muscle is very metabolically active and you don't want to lose any muscle. So train with weights that are comfortable for you, create that resistance against your body, increase your protein. Why wait for age to increase the pounds. Take control now by exercising regularly and embrace the weights to lose the weight. It’s that time again…you know that time of year where you promise yourself you will lose weight, save money and eat healthier. We have all made those promises and January is usually the month, where we decide to make those changes. We understand how hard it can be sometimes to motivate ourselves but if you follow us we will get you back on track. We are delighted to announce our NEW CLASS timetable 2017. A much anticipated class that I am really excited about is our PURE NUTRITION CLASS. This will be on at 8pm every Tuesday and it will be included in our €59 membership. In this class I will focus on a different topic each week. WHAT TO EAT TO GET MAXIMUM RESULTS! HOW TO PLAN MEALS EVERY WEEK WITH AMAZING RECIPES! IS FAT GOOD OR BAD! This is a class that will educate everyone and will provide support and advice for everyone, whose goals include dropping weight, proper fuel for workouts, how much protein do we need etc. You will not want to miss it. First class starting 10th January. Limited numbers so ensure you book in via our booking app. For the next 7 days, I have really simplified the meals for Marian. She is going through a tough time at the moment and any extra energy she has will be needed for her recovery. So with that in mind, the following 7 days will be very easy to follow and as long as you have the ingredients then it should only take you a minimum of 5 minutes and maximum 30 minutes to prepare your meals. Booked in for Spinning today. I need to do at least one spinning class a week. I just love this class. Ger really knows how to motivate us. Food is going really well today. To be honest I know I could do better with the food. I will try harder. I had a bad night with Lily but I know Spinning will give me a massive boost of energy. I could do with it. Felt great after Spinning last night. Ger was on fire last night. I got my heart rate up to 189 which is the highest I have gotten it in any class. Had lean steak and broccoli this evening. I do however think I’m over indulging in cottage cheese and greek yogurt. I need to watch my portion sizes too. I haven’t fully stuck with the eating plan, but will see tomorrow at weigh in if I’m down a few pounds. Booked into SweatBox tonight, I can’t wait. I had porridge this morning, scrambled eggs for lunch with cottage cheese and greek yogurt. I know I have to cut down on these. Loved Sweatbox last night, oh my god did I sweat. It was great fun too. I need more of these classes. I’m tired today, had a draining day at work, so going to have a rest before class. Tonight is weigh in time. If something in my measurements or even my body fat has reduced I will be happy, even if the scales doesn’t move. I will be disappointed but I’ll try not to let it get to me too much. Haven’t tried anything really on meal plan yet, hoping to make some bits at the weekend. Chicken fajitas sound fab, maybe a treat if I’m down tonight. Fingers crossed. Had my weigh in, and I wasn’t down on the scales, but I am down 1 and a half inches from my waist, 1 inch from my chest and body fat was down 1.3%. Delighted I was down in some way, it can be very disheartening when nothing changes. Food is going great, I am officially sticking to the meal plans. Should definitely have a loss next Friday. My aim is to do a class every evening, might have to reduce the classes next week as we are moving house. Bad news, I had to leave work there. My back is absolutely crippling me. Had a prolapsed disc during summer looks like it's back to haunt me. Have painkillers taken now and going to lie flat on it. Pain was worse in work from sitting down. Food still going well though, I know the last time it happened I was advised to stay away from lifting weights and body weight exercises. Going the doctor in the morning so I'll ask him then. I'm bed bound and off work, got some pain killers and muscle relaxants and have heat patch on my back. I am more determined to stay extra healthy. I need to get this weight down. I'm more or less sticking to Fiona’s meal plans with one or two tweaks if I don't like something. It's definitely my weight making this worse so I need to get it down. I am remaining positive. This thing with my back is making me more determined to stay on track. Even though I know I didn’t gain it overnight a part of me expects to lose it overnight! How does that make sense. I dreaded last Friday's weigh in. I was out on the Friday night before and I tried to be as healthy as I could. I have learnt now over the past few weeks that it's going to be tough sometimes. Especially when life gets in the way. Bad day today, had to come home shivering and bones aching. I was hoping to go to class this evening but it’s not likely! When I don’t exercise my healthy eating plan goes out the window. Exercising keeps me focused. it’s a habit that I have to maintain, otherwise I’m going to start eating crap. Hopefully I will feel better tomorrow. Ok so the last few days have been really shite to be honest from Saturday onwards food hasn't been great at all. I'm back on track starting today and will be doing my shopping after class today so I'll be prepared for the rest of the week. No more distractions from now on. I probably won't be down on scales this week but I need to be able to accept it and move onto the next week. Usually when I've one bad day it throws me off and that will turn into a bad week and sometimes even a bad month. So once I can get myself back on track I'll be happy with that. So far so good this morning it's only early yet but feeling good today. The day after my weigh in! I was happy enough with my 3lbs down. I know I can do better. The food is definitely the hardest part. Trying to get organised is my downfall. I can slip into old habits. It’s my sister’s birthday tonight and I will have a few drinks. I will try and stick to vodka and sparkling water with a slice of lemon. I am determined to do the best I can. I do feel guilty for having a few drinks. There was a lot of party food and I didn’t touch it. That is a first for me. So I am proud of myself. Feeling tired after the night out last night. Delighted I didn’t touch any of the party food. I don’t feel as guilty now today. I still had a bit more drink than I thought I would have. It was only one night, and I'm back on track again. I had a cottage pie prepared from the day before. So I will eat that today. I’m not that hungry but I know I should eat. It’s not the best but it’s better than getting a takeaway! Fiona is texting me everyday asking me about my food. The words ‘preparation’ and ‘planning’ are her favourite words. I’m still very tired today. I have made a decision not to go out bank holiday weekend. It's not worth it. I had scrambled eggs and toast for breakfast. The birthday cake is still in the house. It’s the only thing that’s tempting me. Fiona gave me a 7 day meal plan that I was to start on Friday but because of the birthday party on Friday night and feeling tired over the weekend, I haven’t started yet. I am not prepared. I am making healthier choices though and staying away from takeaways. Mams making a roast dinner today but I won’t have any gravy. Looking forward to getting organised for the week. Booking my classes this evening. Having a class to do in the evening time is keeping me focused. I need that. It’s easy to sit in front of the telly and eat away. I’m so guilty of that. One day at a time! That’s what i have to do. My family are great, they are really encouraging. Fiona recommends that everyone follow my meal plans too. It will be easier for me if I don’t see any crap in the house. Appreciate all the support from Purefit followers too. It makes it easier to stay on track! Want to stay on track for as long as I can and get this weight down. First week of plan has been very tough to stick to. I came to Fiona for help. I knew she could whip me into shape. I also knew that food was my downfall. I realise now I am an emotional eater. I eat when I'm happy, sad, bored and even before I go to bed. I crave all the wrong stuff. I told Fiona my story and she advised me to start with a small change first. For example cut out bread. I was eating so much of it. I didn't want to start with a small step, I wanted to go right in at the deep end. I wanted results fast. I wanted a strict diet plan. I knew I would only stick to it for a week, but in my head I was going to lose loads of weight. I needed a kick start to get me motivated. I wanted the pounds to come off me. Fiona explained the risks of extreme diets or dramatic changes to my lifestyle. I didn't want to listen. She wanted me to change my mindset, and then my habits would improve. She wanted me to become more aware of why I was eating all the wrong stuff. I wanted to lose weight right now. Slowly I realised that it was going to be tougher this time. I had completely fallen off the wagon. My initial weigh in was nail bitting. I knew I put on weight but the fear of those numbers, it was hard. Stepping on the scales, there was no turning back now. We decided to do the weigh in every Friday evening. This was a focus that I needed. Fiona gave me my 7 day food plan. It didn't seem too bad. Firstly I cut out the takeaways and treats at the weekend, which is a first in a long time. Even though my clothes still feel tight, I feel less bloated. I have cut down on the bad carbs so much. I am feeling really hungry though. Fiona had advised me to eat more protein to help me feel full. I trying hard to stick to the plan, but Fiona has been great, she is helping me substitute foods on the meal plan that I don't like. Just got my week 1 weigh in, I was really nervous. I know I could have been better on the plan, but I have made some changes. I'm down 3lbs this week! 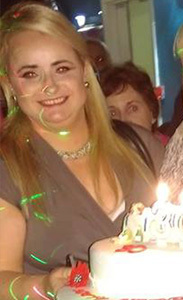 Happy enough but i know it's a long road, I am willing to stick to it. I'm going to try week 1 again. Get my shopping in and be more prepared. Chat again next week after my second weigh in. When Marian started with us in 2013, she had a goal to lose 10 pounds. She signed up for our Purefit6 programme with a starting weight at 12st 7lbs. By the end of the 6 weeks she had lost inches and over 16lbs. She had the tools and was ready to do it on her own. She remained dedicated but slowly the bad habits creeped back into her life. Marian’s journey doesn’t stop there. At 28 years old with a 15 month old, working full time, it was becoming increasingly more difficult to prepare food. Sleepless nights meant very little energy during the day so reaching for sugary snacks became all too easy. The weight slowly went back up and much more. 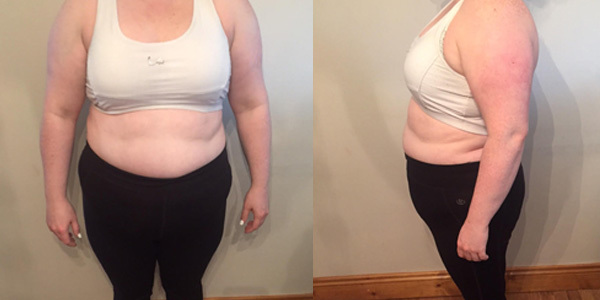 Her current weight is now at 14st 4lbs, body fat 44.5% Not one to make excuses, but that’s her reality, like a lot of full time mums, family comes first, and in Marian's case, reaching for carb heavy and sugary snacks was second nature. 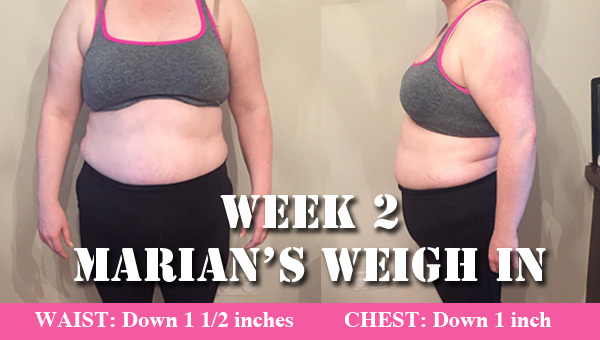 However Marian needed to gain back her confidence, her weight was getting her down, so she finally came back to me. She told me her story. She was desperate to get back on track. She needed my help and I was going to give it. I knew Marian was an emotional eater, so with a few gentle chats on her triggers, a structured meal plan, with easy to follow recipes Marian was ready to start. She has always struggled with her weight but this time it is different, this time she wants to be a healthy mom for her baby. She wants to be a positive role model for her child. Another big incentive is she wants to fit into her clothes she wore 3 years ago, she wants more energy, she wants to fell happy about herself again. 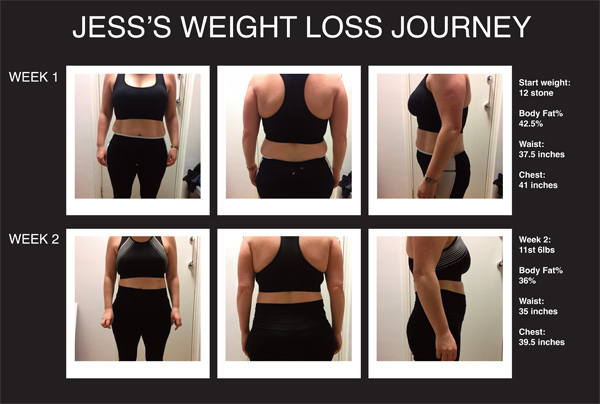 This is her journey with Purefit. As a trainer and nutrition expert I will guide her every week on foods, she will have weekly weigh ins and measurements done by me. She will participate in at least 3 classes a week. 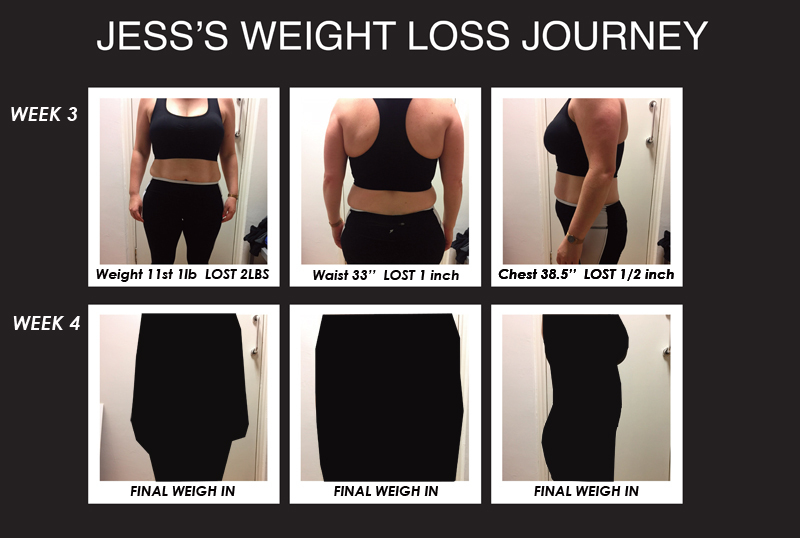 Every week we will post up her journey, her foods, her measurements. We want people to follow Marian every week. Give her the boost if she is finding it difficult, follow her meal plans and we want you behind us so post up your stories, start your weight loss journey with us too. I know Marian can do this and with all of our help she can get there. 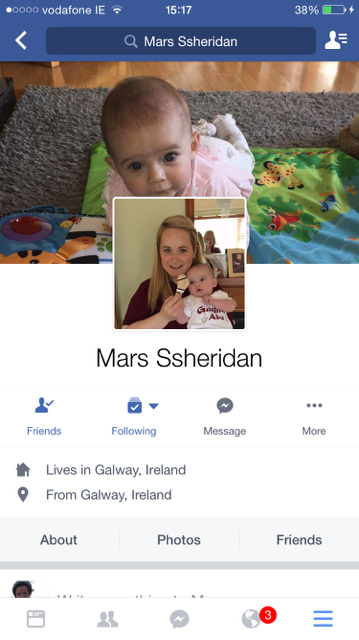 If you are struggling with your weight follow Marian and her weight loss journey. I’m going to help Marian for as long as she needs it. This will be an integral part of her life now, it needs to be for her own health. So come on support Marian, share her blog every week with your friends. Be part of Marian’s weight loss journey. In this weekly blog Marian has agreed to share her weight loss journey in the hope that it will keep her on track. If she feels more accountable to hundreds of people then she will more than likely stay on track. Even if she does fall off the wagon, we are all here to help her get back on track. The weekend is almost here! You have eaten and trained well all week so you want to relax a little but not undo all your hard work. Here is a simple recipe that will tantalise your taste buds without jepardising your healthy eating. 1. Heat olive oil in a large non-stick pan. Add the onion and chicken breast strips and fry for few minutes until chicken is cooked. 2. Add chopped tomatoes, peppers, mushrooms, soy sauce, stock cube and chili powder. 3. Simmer uncovered for approximately 25 mins until the sauce is thickened. 4. Spoon the mixture into the middle of a tortilla and roll. 5. Place into oven tray. Repeat with the remaining tortillas. 6. Sprinkle with low fat mozzarella cheese and place in oven at 200 celcius for 5mins or until the cheese is slightly crispy.